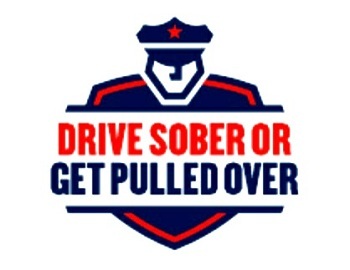 Driver sober AND get pulled over. – Disorderly Conduct. Tanya Weyker remembers it clearly. Not just the crash that broke her neck in four places, but the false accusations that followed. “My reputation is everything to me,” she said. At the age of 25, Weyker’s criminal history is as flawless as her posture. She was diagnosed with cancer at age three, and the prolonged radiation treatments literally curved her spine. So doctors inserted metal rods to keep her back straight. The lifelong medical complications have not stopped her from pursuing a college degree. Or from driving a car. In fact, Weyker had never gotten so much as a speeding ticket until the night she crossed paths with Milwaukee County Deputy Sheriff Joseph Quiles. The truth might never have surfaced were it not for video from a nearby airport surveillance camera. It shows what investigators say is Deputy Quiles’ squad car traveling west on Hutsteiner Avenue, then continuing onto Howell without making a complete stop, as Quiles claimed in his report. The Sheriff’s Office knew about the video just two days after the crash. But no one told Weyker. Instead, the County sent letters blaming her for the crash and threatening legal action if she didn’t pay for the damage. I’m sure this is just an isolated incident and all the other people arrested for DUI by this guy are guilty, right? Right. Next Next post: McHenry County Branch Court is Closing. Interesting.